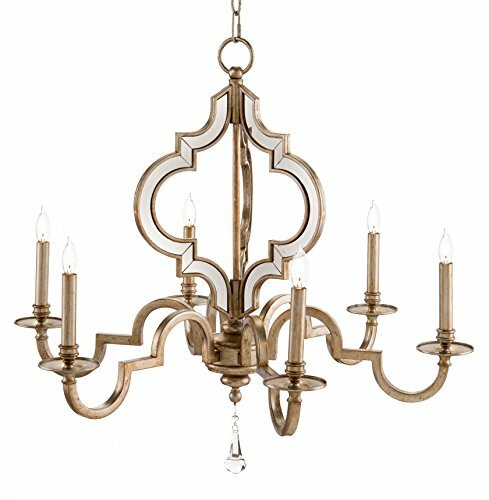 Royally glamorous, this oversized, heraldic crest-shaped beauty lights up the room with six candle-shaped fixtures. The antique silver finish details each curve of this architecturally elegant chandelier. The adjustable chain and canopy create the perfect placement of light for your room.